If you use Google Chrome and you haven’t disabled the built-in PDF plugin, you can now open PDF attachments from Gmail using your browser’s viewer. Just click “View” next to the attachment and you’ll notice that the PDF file opens faster and it looks much better. 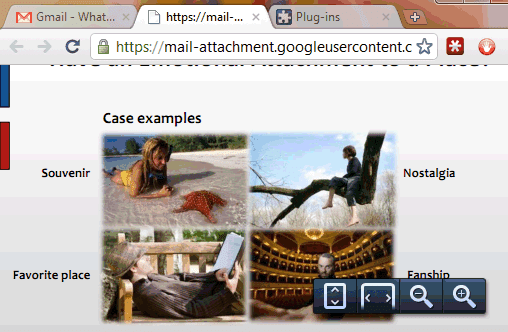 If you disable the plugin or you use a different browser, Gmail continues to open PDF attachments using the Google Docs Viewer. Maybe Gmail should also detect Adobe Reader’s plugin and use it instead of the online PDF viewer. Google Apps blog informs that this feature will be available in Google Apps next week. You can get it faster by enabling “pre-release features” in the Administrator Control Panel.